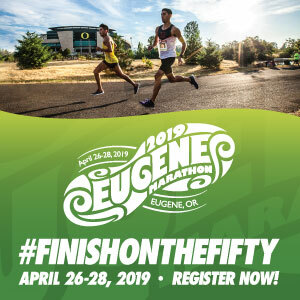 Be a part of race history and run the 54th 2018 Eastern Oregon Half Marathon on Saturday May 26th. This race, which will take runners along the John Day River in Spray, OR is the oldest half marathon in Oregon. All profits from the race will benefit the Spray Fire Department and EMS by going to the Spray Rodeo Association, so you’ll be doing it for a good cause as well. You have the choice between three distances, all taking place on the river side of Hwy 19 on a paved course. The half marathon starts at 8:00AM (walkers begin an hour earlier) about a 1/4 mile from Service Creek, the 10k begins 6.3 miles West of Spray at 8:30AM, and the 5k begins at 8:45AM 3.1 miles from Spray. 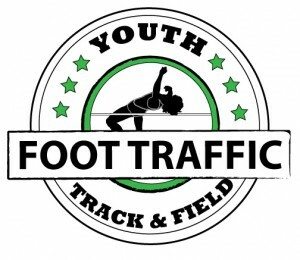 There will be bus transportation at Spray School to the starting line at 7:00AM. Please don’t park at Service Creek and also don’t be late, as there will be no return transportation after you finish the race in Spray. The Spray Rodeo will also be happening, so please account for extra traffic in your plans for getting there. There will be portable restrooms available at Service Creek but not along the course. There will be three water stops along the course as well as at the finish line. Baby joggers, kids on bikes, and support vehicles are allowed on the course as long as they don’t interfere in the race. If this happens, those responsible for the disruption will be politely asked to leave the race course. The race course monitors are also authorized to disqualify anyone doing anything unsafe. Please note that the highway will NOT be closed for the race, so please obey the rules of the road. After the race, stick around for cafeteria-style pancakes, ham, and breakfast at Spray School available at family rates. There will be showers and dressing rooms available after the race, but please don’t forget your towel. If you want the water hot, finish your race early!! This year’s top finishers will receive belt buckles, so stick around for the awards. Research for this race shows that the top 10 times were set in the 1900’s so come out and see if you can top that! When: Saturday May 26th, 2018. 8:00AM for Half Marathon, 8:30AM for 10k, 8:45AM for 5k. Half marathon walkers will begin at 7:00AM. Shuttle service to start is at 7:00AM. Where: 101 Spray, Spray OR. Shuttles are available from Spray School to the start line. Please don’t leave cars at Service Creek.